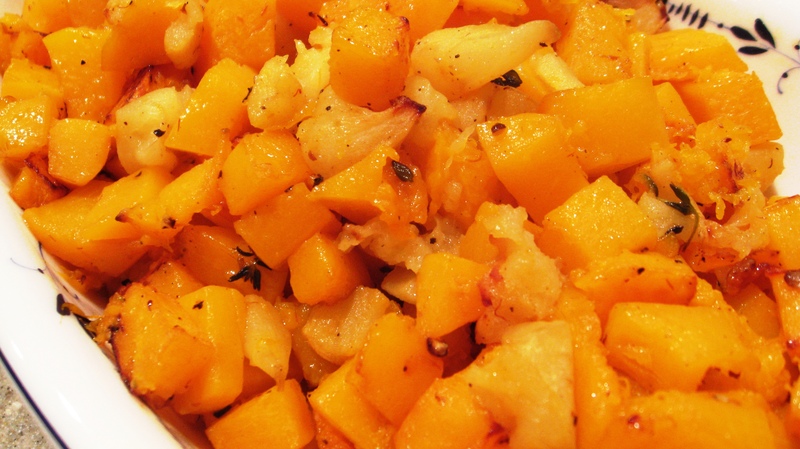 Add Butternut Squash and spices and continue to cook on medium, medium-high heat stirring often to avoid burning. Cook for about 15 minutes. Squash should be a little firm, but easy to stick your fork into. Serve and enjoy. We usually pair this with Pork Chops or White Fish.